Loyola-Chicago did the unthinkable and won their region to reach the Final Four as an 11-seed. The breakout star of the Cinderella run is Sister Jean, Loyola’s 98-year-old team chaplain who is also a bit of a mascot for the team. 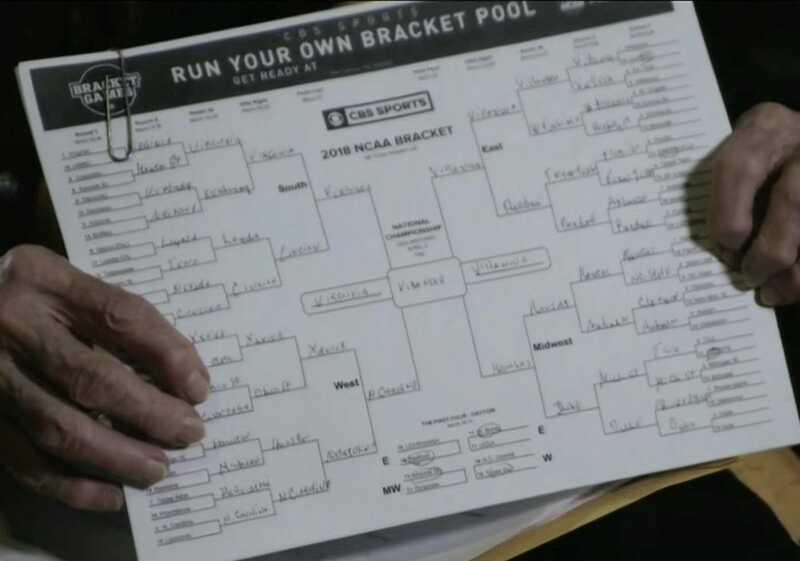 The longtime chaplain likes to fill out tournament brackets, but she says she can’t enter them in any March Madness office pools because of NCAA rules. Sister Jean filled out two brackets this year, and she had Loyola-Chicago going to the Sweet 16 in one and all the way to the championship game in the other. 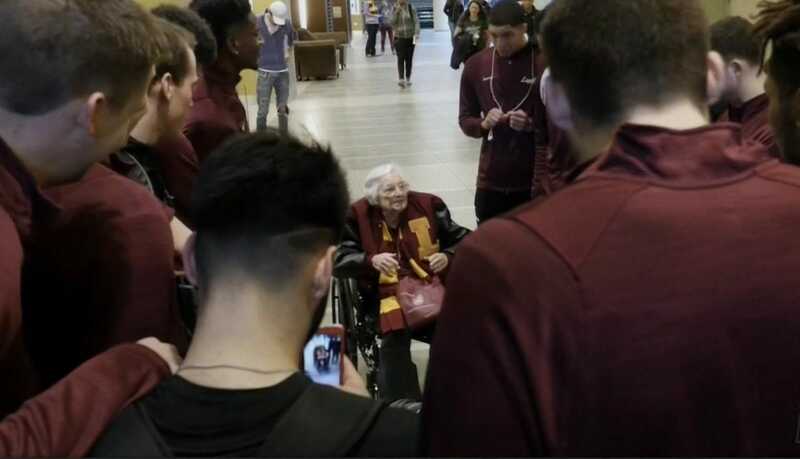 Sister Jean is the 98-year-old team chaplain for Loyola-Chicago’s men’s basketball team, the Cinderalla 11-seed that did the unthinkable and reached the Final Four. The unexpected star of March Madness is also the perfect example of why the NCAA’s rulebook makes most people want to pull their hair out. Early in the NCAA Tournament, TruTV did a segment on the longtime men’s basketball chaplain. According to Loyola-Chicago head coach Porter Moser, she is not only the team’s chaplain, but she is also the team comfort blanket, the team scout, and a blessing. In other words, Sister Jean is the last person on God’s green Earth that should worry the NCAA. Unfortunately, the long arm of NCAA law kept Sister Jean from entering her annual NCAA Tournament brackets into March Madness pools. It is a lot like the NFL’s controversial catch rule. The NFL was so worried about the rare borderline catch causing havoc during a national game that they passed a heavy-handed rule that took the fun of a lot of exciting plays. Likewise, the NCAA is so worried about the occasional $US100,000 tournament bracket and its potential for corruption that they decided just make the other 99.9% of brackets illegal also. To be fair, Sister Jean could enter her bracket electronically at a place like ESPN or Yahoo where there is no entry fee, but any office pools at Loyola are likely illegal. She also says she is not upset about not being able to participate. She told TruTV that it is ok by her because she “just has a lot of fun doing it.” Although to listen to Sister Jean in the video below, you do get a sense she would like a shot to prove her mettle. TruTVSister Jean can’t enter her bracket in March Madness pools, but if you are looking for some tips, here’s your chance. This year, Sister Jean had Loyola going to the Sweet 16 in one bracket and the championship game in her “Cinderella Dream” bracket. Sister Jean does act at times as a quasi-assistant coach, “scouting” opponents and emailing players after games with tips. She has been with the team for all six of their appearances in the NCAA Tournament, including the 1963 team that won the national championship. So there is a lot of basketball knowledge that goes into her bracket picks. You can see Sister Jean talk about her brackets here, via TruTV. This post was originally published on March 15 and has been updated.